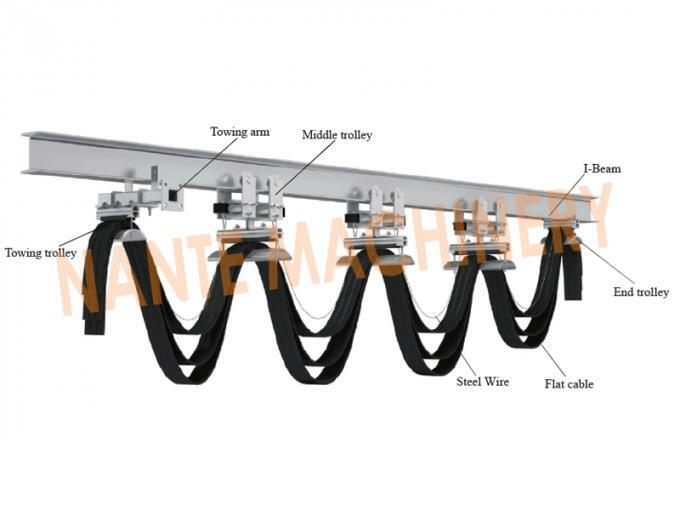 I-Beam Festoon System is used in hanging and moving for mobile power supply mechanical cable. 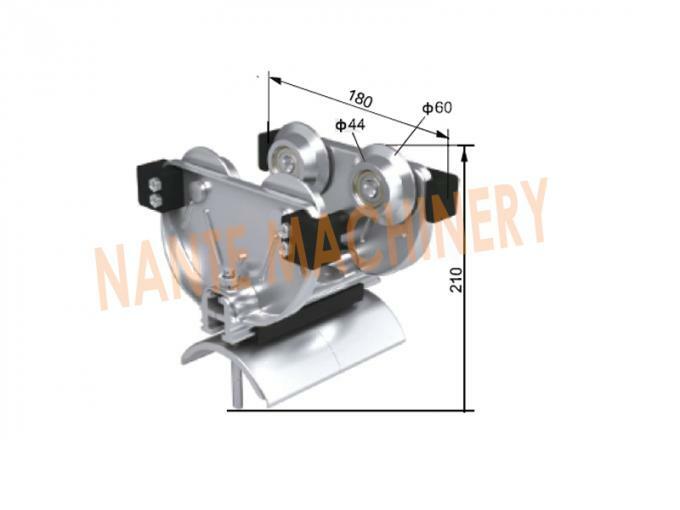 It has been widely used in all kinds of hoisting machinery. 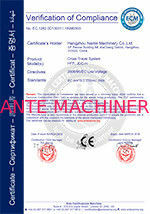 The device is of firm structure, flexible movement, safety and reliability. 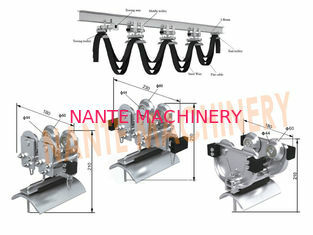 Light load type cable conduction is made up by three parts including towing trolley, middle trolley and end trolley. The towing trolley follows a moving mechanical traction sheave guide rope traction device, each of which configures 1 towing trolley to run back and forth with the mobile machinery. Middle trolleys follow the towing trolley with the cable hanging within the scope of I-beam rail traction, and the slow clashes is equipped on both ends of them. The number of trolleys depends on different length of mobile. 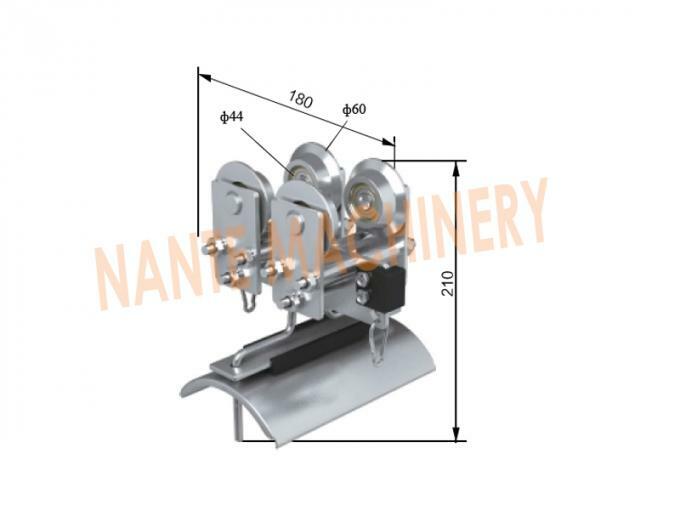 End trolley is fixed at the end of I-beam rail, general each mobile machinery set 1. 1, Fixed line installed, should be hung behind a baffle. 2, Adjust the drawing head, make the car in the whole trip without touching traction hole top and bottom edge as well. 3, Cable length for crane span 1.2 instead of 8 meters. 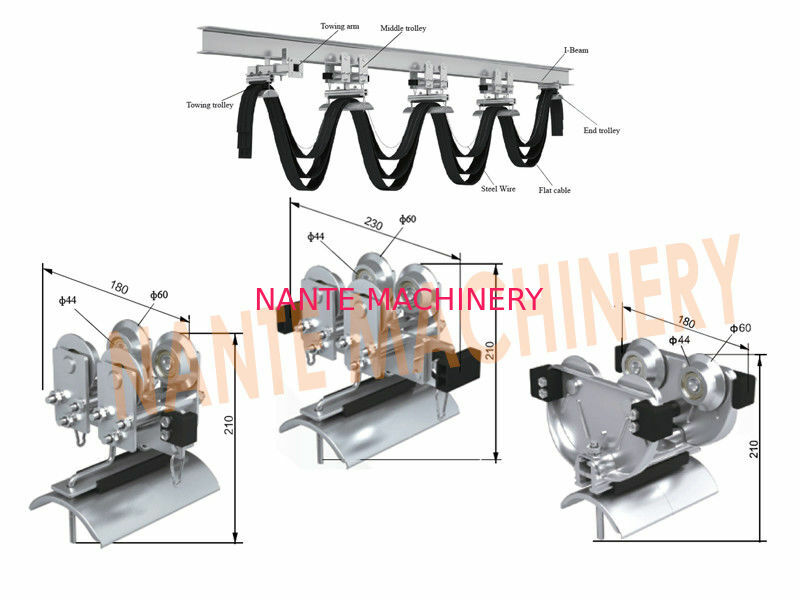 4, Adjust the traction rope, make its length is less than the section with cable length, runtime by load cable force. 5, When the cable diameter range, should pad between cable clamp with soft rubber, make its have the same diameter, so that the cable clamp. 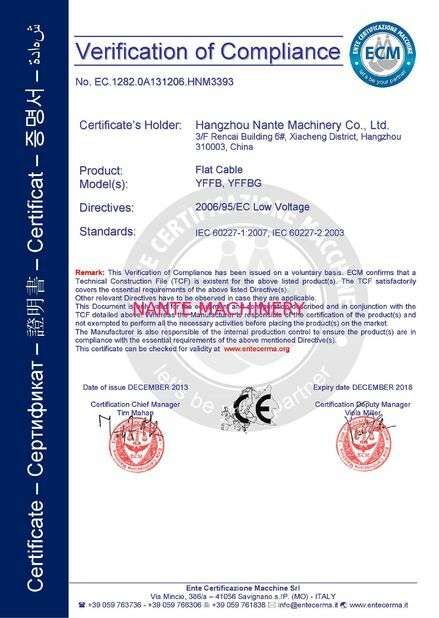 6, Cloth cable, both sides should consider cable plate stress equilibrium. 7, When the cable pulley is on the second floor for the same. 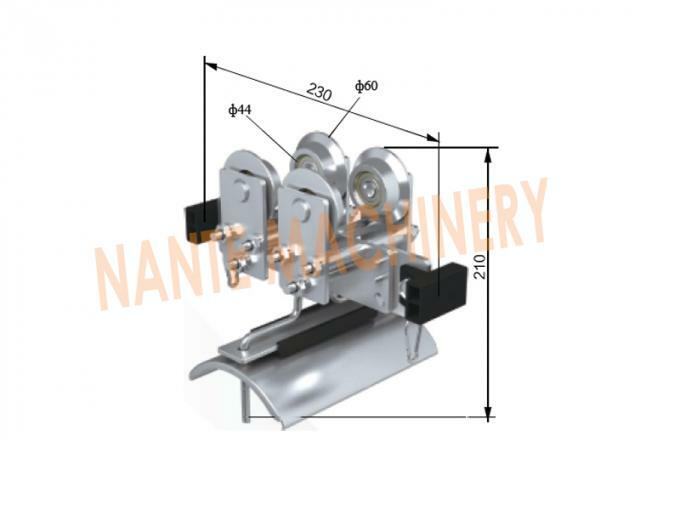 8, The double gasket on the block device for adjusting washers, when the guide rail is improper, put the washer on the inside of the fixed plate, in order to adjust the track width, the factory according to the guide for 100 * 68 120 70 140 * 80 * 70 * 140.Non-standard block processing system according to the drawing.